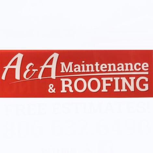 Request A & A Maintenance and Roofing for your Paint Jobs, Drywall repair, and/or roofing replacements in West Texas. You want professionals to get the job done correctly and efficiently. Our bilingual crew has over 25 years of experience, and our goal is to provide you with peace of mind through satisfactory work. ​Call 806-632-6490 to receive your free estimate!